New solar and wind farm projects announced just days after state government’s Renewable Energy Jobs & Investment Bill 2017 passed the lower house demonstrates strong investor confidence in the Victorian Renewable Energy Target. As reported in the Australian Financial Review, Gisborne-based company WestWind has submitted plans for a $1.7 billion wind farm in south-west Victoria. If approved, the Golden Plains wind farm would be the largest in the southern hemisphere and would be capable of powering 500,000 homes with clean electricity. It is expected that the project would secure $3.5 million in annual income for 39 landholders hosting wind turbines on their property, a vital source of drought-proof income. The Golden Plains wind farm is not the only project on the cards: Alinta Energy appears set to crank up the Naroghid 48 megawatts wind farm near Camperdown in the state’s south-west. The project was previously put on hold due to the troubled Bailleu government’s restrictive anti-wind laws. The return of investment certainty thanks to the Victorian Renewable Energy Target is good news for the cleantech sector, and good news for regional jobs. It’s projects like these that will provide real opportunities for local businesses like Keppel Prince in Portland, who are now looking at eight years of work manufacturing wind towers thanks to the VRETs of 25% by 2020 and 40% by 2025. The VRET for wind and solar will attract up to $9 billion in investment to the state, create more than 10,000 jobs and cut electricity sector emissions by up to 16% by 2034-35. With the divided Turnbull government unable to make a decision on a national policy to cut greenhouse gas emissions and secure investment in new renewable generation, Victoria’s Renewable Energy Target gives investors and the community the certainty of having a plan. Now that the Renewable Energy Jobs and Investment Bill 2017 passed the lower house, it looks like investors are confident of a successful vote in Victoria’s upper house. 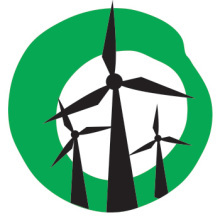 A vote on the VRET for wind and solar is expected in the coming weeks. Friends of the Earth’s Yes 2 Renewables team and other community members will be watching closely. Chip in to our fighting fund so we place ads in key opposition held seats to keep the opponents of renewable energy honest.